What is a Performance Glove? For many motorcycle enthusiasts, cold weather is a major deterrent to riding their bikes. However, having the proper winter motorcycle jackets, bibs, vests and HiVis gear can keep you on your bike year-round, so why not find out what you need to be wearing to get you on your next route? When it is chilly in the morning and the temperature rises in the afternoon, you do not want to be stuck with a heavy insulated jacket that will make you sweaty and uncomfortable during your ride. For milder days, a good vest or un-insulated softshell jacket will protect against the chill without weighing you down or inhibiting your movement. Lightweight jackets and vests are convenient for pairing with other winter motorcycle gear and are easily removed or stored away for later use. 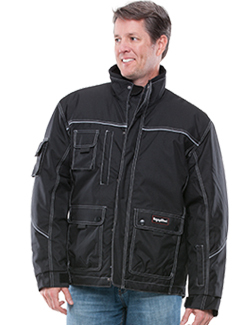 Colder temperatures may call for more adaptable cold weather motorcycle gear like a 3-in-1 or softshell jacket. 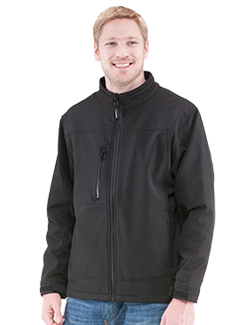 A versatile 3-in-1 jacket, with a removable inner layer, can withstand nearly any kind of weather without having to be layered with other garments. Look for an option that protects you from the rain and that has an inner lining that can be worn alone to give you lightweight protection from cooler temps. Insulated softshell jackets that protect down to -20 degrees are perfect for riding in the cold because they provide freedom movement yet are water-repellent and keep you warm. After all, if you intend to ride your motorcycle in colder winter conditions, like in temperatures of 40 degrees, you are going to need an insulated jacket that is suitable for much colder temperatures due to wind chill. Intense cold calls for tougher and warmer motorcycle gear. Sitting still for long periods in cold wind chills can be especially harsh, so it is necessary to calculate how much colder the ride will feel once you get moving. Jackets like Extreme Softshell (-60-degree comfort rating, water repellent) and ErgoForce (-30-degree comfort rating, 100% waterproof) prepare you for the cold as well as give you extra padding. It’s important to also have functionality in cold weather motorcycle apparel, so keep an eye out for things like adjustable cuffs to seal out cold drafts and waterproof pockets for sensitive items. You will also want a functional stand-up collar so you can zip all of the way up when you need to seal out the cold air. Safety is of the utmost importance when choosing motorcycle gear. Even on a sunny day, a curving mountain road can lead to limited visibility for other riders and cars, so you may need to add a HiVis jacket or vest for safety. 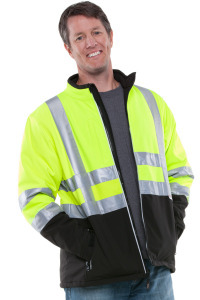 A high-visibility softshell jacket, for example, combines insulation and functionality for warmth with orange or yellow hi-vis colors as well as reflective piping and tape to keep you safer. Abrasion resistance, padding, grip and flexibility are all key features that make a good glove for riding. However, riding your motorcycle in colder weather also calls for more warmth. Performance gloves with impact protection, grip-enhanced palms and insulation make a perfection solution. When selecting your next gloves for Fall or Winter riding, make sure to pay attention to the grams of insulation a glove provides. An insulated performance glove with 100 grams of insulation, for example, can keep you warm down to -20 degrees.